Professional office team. From the first call to our staff to the final invoice, you’ll be in the best hands with our employees. They are always ready to answer your questions, help with paperwork and ensure the logistics run smoothly. The best moving crew. Not only are our movers courteous and efficient, but they are also all background-checked and arrive in uniform. You can rest assured that your belongings will arrive safely to their destination. Well-maintained equipment. Our vehicles and equipment are always in perfect working order, clean and ready to go. Crews have appropriate packing materials on hand to protect and transport your items. Estimates you can count on. We know that some moving companies have a bad habit of giving falsely low quotes only to add on fees at the final invoice. At All Jersey Moving & Storage, we believe in honesty. Your moving quote will be accurate and honest. We’ve heard it straight from customers: national moving companies don’t have what it takes when it comes to knowing our local area. Our team has completed jobs at apartment and condo complexes, senior housing and of course single-family homes. 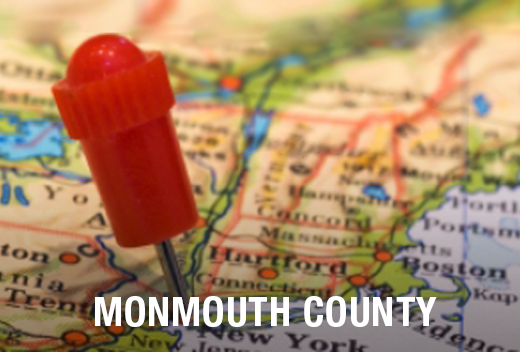 Because our crews know Shrewsbury NJ, we’ll save you time and headaches on moving day. From local traffic patterns and parking rules to building management companies, our know-how will create a positive experience for you. All Jersey Moving & Storage understands that sometimes people find themselves in a last-minute moving situation. While this can be stressful, we want to help. Since we dispatch crews in and out of Shrewsbury routinely, we can be there for you when you need us. Visit our instant moving quote form in order to get on our schedule. Then make a call to 1-800-922-9109 and leave us a message so we can get back to you quickly. Customers who move with us are often also in need of storage units. They are always pleased with our clean, climate-controlled units. We use state-of-the-art wooden storage containers, which keeps everything from artwork to antiques in the best shape. Inquire about our specialized packing like quilted padding for furniture. Security is our priority when it comes to storage. Business clients: ask about our warehouse and distribution services. Ready to schedule a move in Shrewsbury, NJ? Get your free quote today.